Nice looking but umm.. I will pass. Its worthless on iPhone 6, I guess. Its a piece of junk, you know. Since Zero's design is based off his Maverick Hunter X and not off his Mk II design, I wouldn't be surprised if X won. It is weird to see that they chose Zeros' least-iconic appearance for this. Round shoulder-pads, Z-Buster rather than the saber...Not to mention that his hair almost doesn't look like it's even in the picture at all. Oh well. 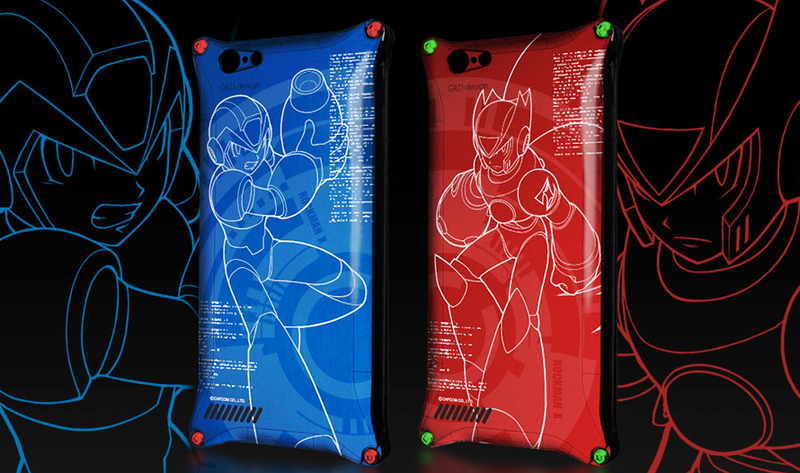 They're neat designs, and if i had money or an iPhone 6 I'd be getting one. The X one, that is. Weird that its a competition rather than just a set number of pre-orders and a competition (in case numbers are low). Like if both X and Zero break 100,000, for example, but X has a few more, they're really okay with not making and selling those other 100,000? To think that we live in a world where THIS is Mega Man news instead of games .. depressing. To think we live in a world where every time some cool Mega Man merchandise shows up and someone complains that it's not a game... depressing. I don't have an iPhone 6, and even if I did, I can't justify spending that kind of money for a CASE. It's not even new or unique artwork! This...is like the definition of a rip off. $100 for a CASE? AH HAHAHAHAHAHAHAHAHAHAHAHAHAHAHAHAHAHAHAHA!